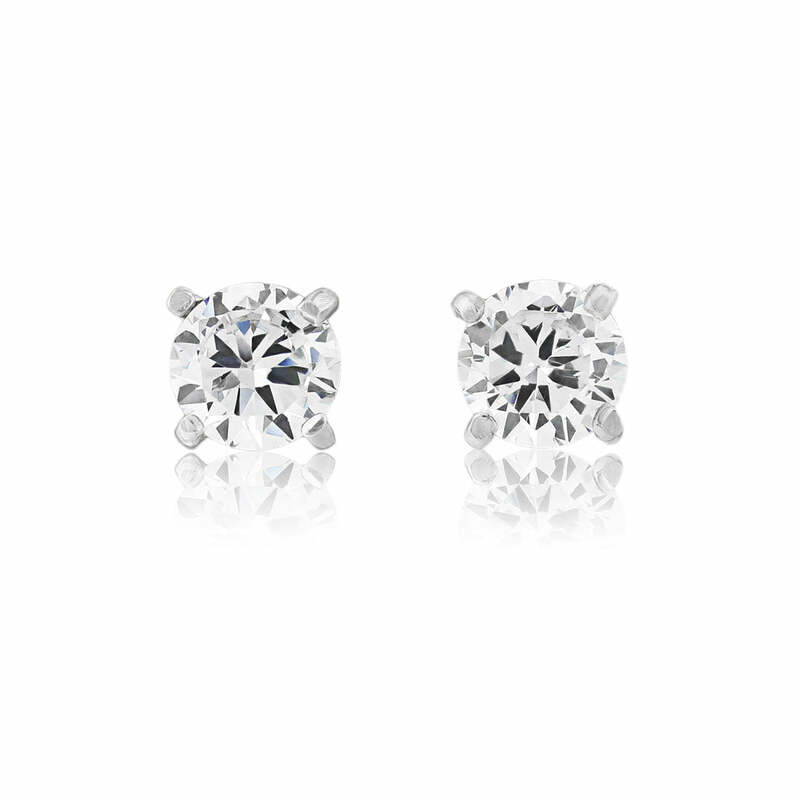 Diamonds are a girls' best friend but these beautiful sparkling studs will not break the bank! If there’s one pair of earrings that every woman needs then it’s these. Our Starlet’s Treasure earrings are perfectly proportioned with an elegant, timeless design that will ensure that you wear them time and time again. Beautifully understated and effortlessly chic, these stud earrings are sure to attract attention whenever you wear them, whether that’s as part of a wedding ensemble or simply to bring some sparkle to a special occasion. The flawless cubic zirconia catches the light and gleams like diamond whilst the silver accents add plenty of light, bright beauty to the dainty design. Perfect as delicate bridal earrings or, if you can bear to part with them, as a stylish gift for bridesmaids, Starlet’s Treasure will add more than a little bit of brilliance to your outfit and we know you’ll agree with us - they’re an absolutely essential accessory.